Bitrix offers products designed to address core business needs: easy deployment and customization coupled with moderate price, reach functionality, high performance, and enhanced security. Bitrix24 provides an internal social network platform that lets users collaborate easier, faster, and more efficiently. Users receive instant feedback, share ideas, create workgroups, and engage employees. 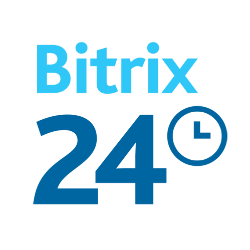 Bitrix24 provides tools for task management, document sharing, and time tracking integrated into just this type of social interface for maximum efficiency of communications and work. Use Bitrix24 in your office, or anywhere you like with the free mobile app!